While marijuana was decriminalized in Massachusetts in 2009 and approved for medicinal purposes last year, driving under the influence of the drug remains just as illegal as driving while drunk, per Mass. Gen. Laws Ann. ch. 90-24(1)(a)(1). However, a new report by Addiction-Treatment.com and Fractl analyzed federal data to determine whether police across the country are enforcing these laws. Our drunk driving injury lawyers in Massachusetts note that Massachusetts performed abysmally, ranking dead-last for marijuana arrests per 100,000 users. There is a one-hundred fold difference between our 275 arrests per 100,000 marijuana users and the Illinois high of 30,000 arrests per 100,000 marijuana users. Part of this is by virtue of the fact that our state doesn’t consider it a crime to possess an ounce or less of the drug, while Illinois still does. Those arrests for minor possession add up. But these figures also factor in impaired driving arrests, and we think it doubtful that less than one-quarter of one percent of all marijuana users in the state are driving impaired. Similarly, Massachusetts did not rank well in terms of DUI arrests. 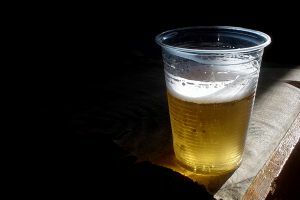 The study authors determined that Massachusetts had nearly 22,000 binge drinkers for every 100,000 citizens – or 22 percent. That was higher than any of the surrounding states (New Hampshire at 19 percent, Connecticut at 21 percent, Vermont at 18 percent, New York at 19 percent, Pennsylvania at 20 percent and Maine at 17 percent). And yet, for every 100,000 binge drinkers in the state, there were only 639 arrests. That’s only 0.6 percent. Compare that to New Hampshire with 1.7 percent, Connecticut at 1.1 percent, Vermont at 2.4 percent, New York at 1.7 percent, Pennsylvania at 1.9 percent and Maine at 2.4 percent. Of course, not every binge drinker is driving after drinking, but national student surveys show that binge drinkers are 14 times more likely than non-binge drinkers to drive while intoxicated. We would certainly estimate the total to be higher than 0.06 percent. Part of the problem, at least as it relates to drugged driving, is Massachusetts law concerning implied consent. Like many other states, a person who is suspected of driving drunk is compelled by law to consent to submission to a breath, urine or blood test conducted by police in order to determine the amount of alcohol in his or her system. However, there’s a major loophole, according to the National Organization to Reform Marijuana Laws. That is that the state implied consent law does not extend to a person suspected of driving under the influence of marijuana or a controlled substance. Those individuals do not have to submit to chemical testing to measure the amount of drugs in the system. With no penalties for refusing the test, there is little incentive for drivers to submit to chemical testing. Even if they do submit, criminal defense attorneys have been fairly successful in arguing in criminal cases that the presence of marijuana alone – even a lot of it – doesn’t necessarily indicate intoxication because the drug stays in the system for a long time. It’s worth noting, however, that the standard of proof in civil cases is lower, and many victims of marijuana-impaired drivers have successfully recovered compensation for damages after filing a personal injury claim. If you or someone you love has been injured a Boston car accident, call for a free and confidential appointment at 1-888-367-2900.